Lachie Henderson has been named to play his first AFL match of 2019 against Adelaide. 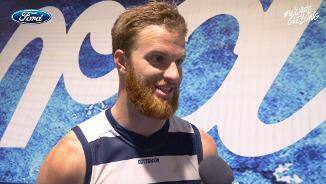 Henderson struggled to overcome a niggling knee injury in 2018, playing his first game for the season in round 18. Having the versatility to play at either end of the ground, Henderson is a useful player for the AFL side and contributes greatly when in form. Selected by Brisbane Lions with pick 8 in the 2007 draft. 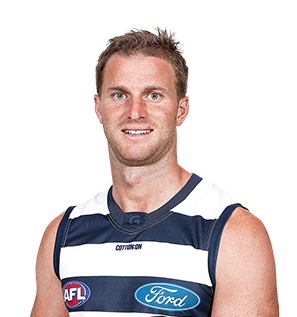 Traded to Carlton in 2009 for Brendan Fevola and pick 27 (Callum Bartlett). 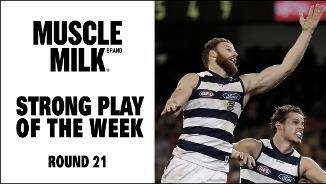 Traded to Geelong in 2015 in exchange for a future first round pick.